My daddy has always loved chocolate and ice-cream and I think he gave the gene for both to most of us kids and grandkids. I remember as a child (way back in the late 50’s) my folks making homemade ice-cream on Saturday mornings in the basement. They would make one or two freezers so that we had enough to last us for the week. Flavors included peach, vanilla, chocolate and butterscotch. Daddy had rigged the freezer to make it electric-he had a knack for figuring out creative labor-saving tricks. We lived on the farm and mother always fixed a hot sit-down meal for both lunch and supper, complete with dessert which was often ice-cream or a candy bar. When I was in first grade I received a five cent allowance per week that I could spend on ice-cream at school. 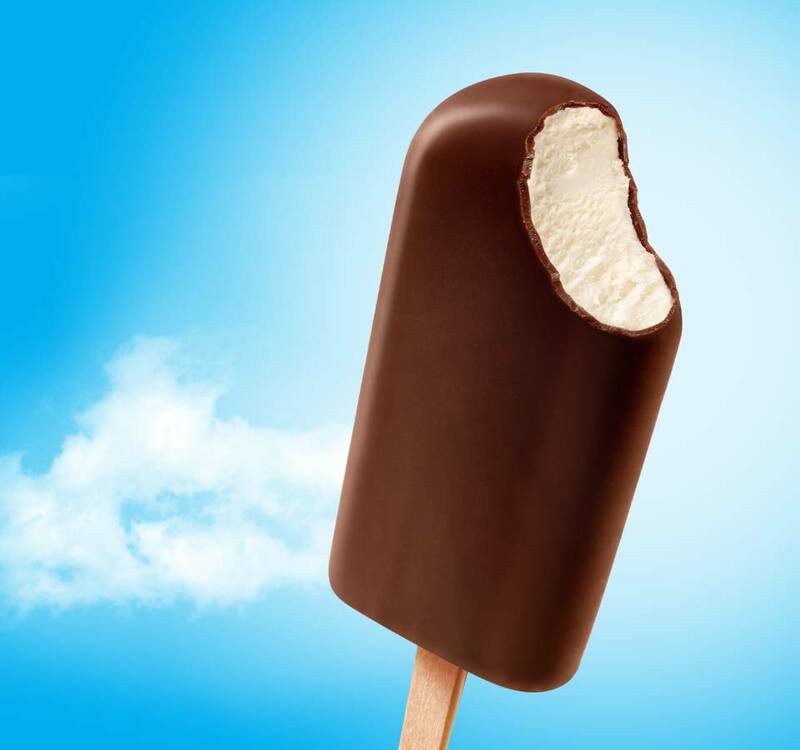 With five cents I could only buy ice-cream once a week as that was the cost of a Dream-Sicle (Vanilla/Orange Serbet Popsicle) or an Eskimo Pie (A chocolate covered vanilla bar on a stick. The decision of which to buy was so hard as I loved them both equally. And believe me, we did not have this store-bought treat at home. My next ice-cream memory was us kids going by ourselves to see our Aunt Doris Heatwole who lived in the tenant house across the road. Aunt Doris and Uncle Charles were newlyweds and one day she served us kids store-bought Hershey’s vanilla ice-cream. I thought I had died and gone to heaven. I had never eaten anything so lusciously smooth and tasty. I can still remember how wonderfully delicious it was and am still very partial to the Hershey’s brand even though it is not easily available. I remember one time when we were kids, I would guess I was around 8 or 9 years old, and we had worked extra hard one Saturday cleaning the chicken house and then harvested the potatoes out of the garden. Daddy and Mother treated us to a trip to Kline’s Ice-Cream. That was a reward better than money (which was precious) and it was so hard to decide which flavor to choose. My next ice-cream memory would have been some years later when I was an adolescence or young teen. Our family still ate ice-cream, it was still the dessert of choice, but now my folks were purchasing it in the store! Mother would buy multiple boxes of wonderful exotic Sealtest flavors; Butter Brickle, Peppermint, Butter Pecan, Chocolate Chip, Black Cherry, Chocolate Marshmallow, etc. every week. I can remember going with mother to the grocery store when it was on sale and she had me go through another check-out lane with some of the tubs as she was embarrassed with how many she bought. My memory was 10 or 12 boxes though mother disagrees with me on the number!!!! But we’ll just let it be our little secret, I know I am right!!!! By the time we were married, homemade ice-cream was back in vogue. Through the years I have made ice-cream for special occasions and we even hosted an annual church homemade ice-cream social at our home for many years. Finally, last year one of my two freezers (6 quart) broke and I decided to downsize and replace it with the newfangled, state-of-the-art freezer that does not require ice or salt to freeze. After doing some research, I settled on the Cuisinart 2-quart freezer from Bed, Bath and Beyond. This little freezer works like a charm. Instead of ice and salt, you freeze the thick-walled bowl for 5-6 hours and in 25-30 minutes you have homemade ice-cream to serve. It is fun, easy to use, easy to clean, low mess, quiet, sits on your counter, and you don’t have to take it apart to add fruit or candy chips at the end, just pour it in the top. I also like that it makes a small quantity. If you keep the tub in the freezer it is ready to use on a whim provided you have the whipping cream on hand! There is only one problem…. because it is so easy to use, combined with that little ice-cream gene that begs to be fed, I want to make it more often that I should! I have a recipe I really like to use that came from my friend Mary Long that is gelatin based instead of custard based. That helps with ease of making and the calories count! Someday I am sure that nutritionists will make a special spot for ice-cream on the food chart as one of the essential food groups. Just before pouring into your freezer bowl/tub add 2 cups whipping cream (can substitute evaporated milk) and stir until well blended. It takes 25-30 minutes for it to set up nice and firm. Between 20-25 minutes add chopped fresh fruit or candy pieces if you desire. Yield: 15-16 ice-cream scoop servings- 1/2 cup each. 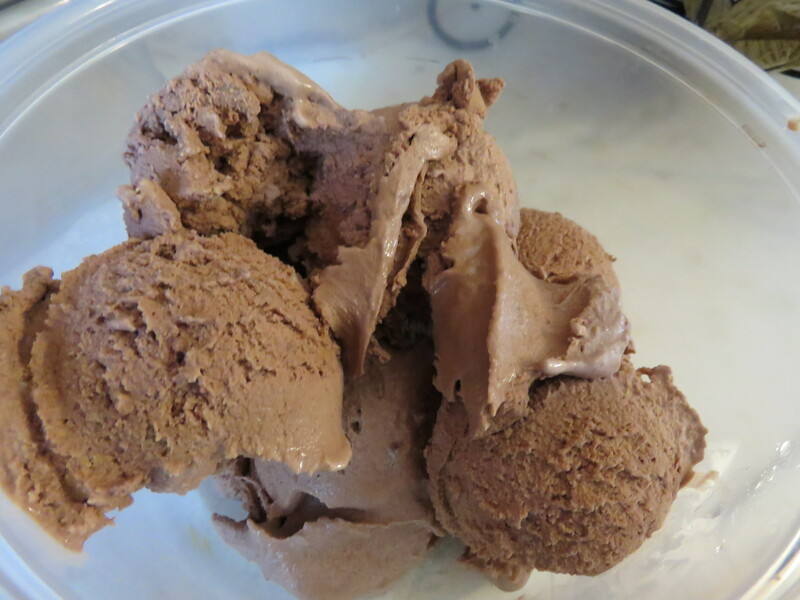 Chocolate Peanut Butter Cup: add 3 packages (1 cup) of chopped peanut butter cups to chocolate ice-cream at the end. Butterfinger or Kit Kat Ice-Cream: Add 1 c. chopped butterfinger or Kit Kat candy bars to vanilla ice-cream at the end. Cookies n Creme: Add 1 cup crushed oreos to vanilla ice-cream at the end. Heath Bit: Add 1 cup Heath Bits (Baking Bits) to vanilla ice-cream at the end. Fruit Flavors: Add 1 cup crushed fruit to vanilla ice-cream at the end. 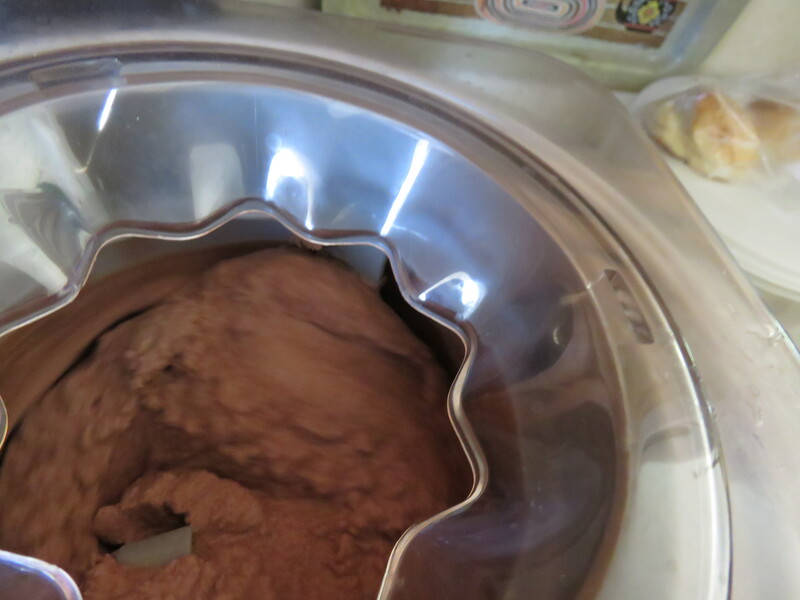 Note: One downside to homemade ice-cream is how rock hard the leftover ice-cream freezes when put in the freezer. I have discovered that this gelatin based is different and you can actually dip it right out just like the store bought ice-cream.